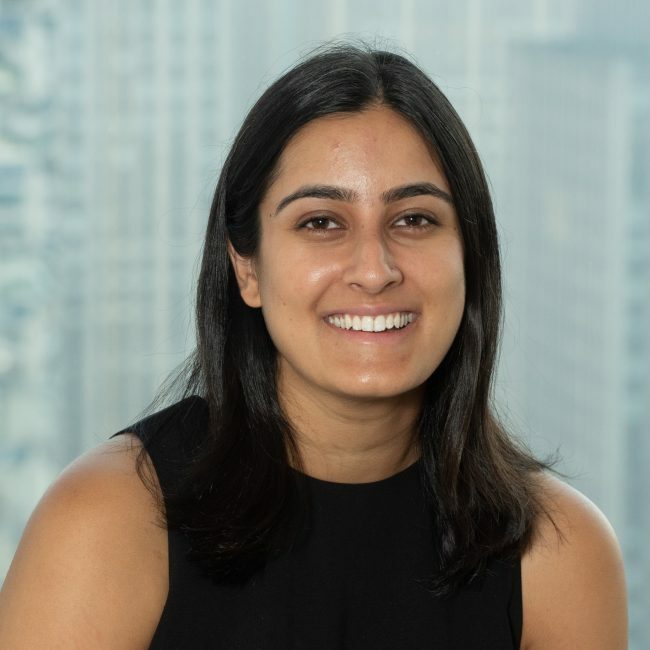 Hanel Baveja joined Insight in 2017. Previously, she was on the business development team at Vettery, a tech talent hiring marketplace based in New York where she focused on customer retention and platform visibility. Hanel also worked as a research assistant for the Harvard Institute of Quantitative Social Science and the Ross School of Business at the University of Michigan. Hanel graduated from Harvard University with a degree in Economics. While at Harvard, she was on the Executive Board of the Harvard College Consulting Group, where she managed projects for three Fortune 500 clients, and was a member of The Signet Society. She spent a semester abroad in Aix-en-Provence, France studying Art History and French. Outside of work, she enjoys reading short stories and long-form journalism, trying new restaurants, and traveling.